Q: But where do I start? A: Think about how compact you can go without compromising comfort. Q: What size Camper should I be thinking about? A: Start with length, a standard car parking bay is 4.8mtrs, so if you enjoy exploring single track beach roads and still wish to be able to do a 3 point turn, then 5mtrs should be your max target length. Q: But which roof option? A: This decision should be dictated initially by the number of berths, as only the pop top offers 4 berths, after that it’s usually a battle between the heart and the head, with the heart wanting the pop top and the head wanting the more pragmatic high roof which offers all year round insulation, organised roof storage and saves you £3000! Read more about roof options on each model page. Q: Why bother with twin side doors? A: Because you will love the opportunity to park in a beautiful location, pull out a couple of chairs from the boot, put the kettle on and relax outside your Camper with everything to hand. Plus, a feeling of space, the cooling of a cross breeze and a connection with the great outdoors within the comfort of your Camper. Q: Do your campers have toilets? A: All models have storage capacity for an optional portable toilet. Q: How do I decide between so many versatile models? A: The max number of travel seats and the need to remove units will lead you towards the Day Van. Flexible load space will lead you towards either the Day Van or the MRV the MRV is limited to 5 seats, but has the advantage of fixed furniture. If you enjoy lounging in a double rear seat then consider the Leisure Van. We want you to find best Camper for you and will give you impartial advice on why one model may meet your lifestyle better than another. A: FORD: Best fuel economy in its class, all new Kinetic design, dedicated dealership network, 6 speed manual transmission as standard or Automatic. 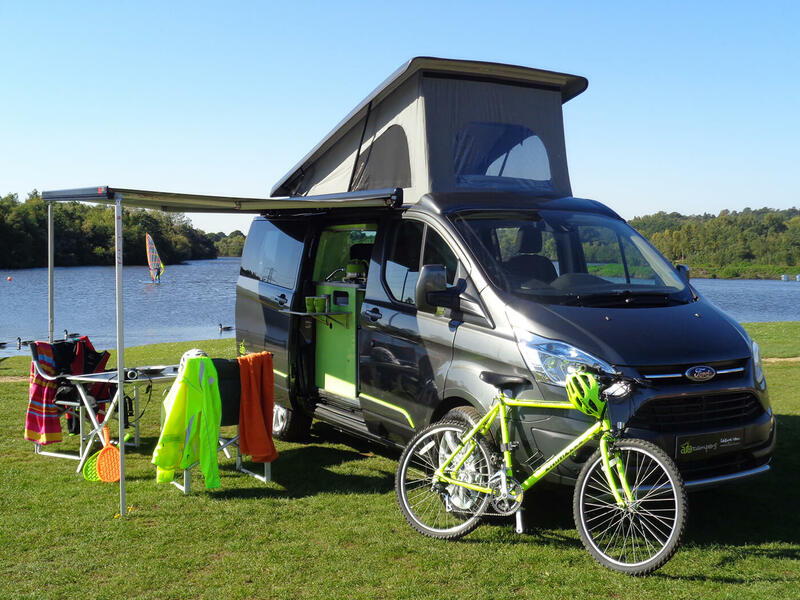 Ford Campers won Camper Van of the year in 2014, 2015 & 2016. Hi-line models available, Magazine editors claim it drives better than a VW, low cost of ownership, supported by strong residual values and perhaps most importantly, it’s affordable! Both base models are superb, consideration should ideally be given to practical elements, because ultimately this will reflect in your desire to use and enjoy a Camper. A: We pride ourselves on giving our customers choice, we don’t believe in “one size fits all” A camper is a considerable investment which most would keep 5-10 years, so it is important that all “variables” in that time are considered and your Camper can accommodate those changes. 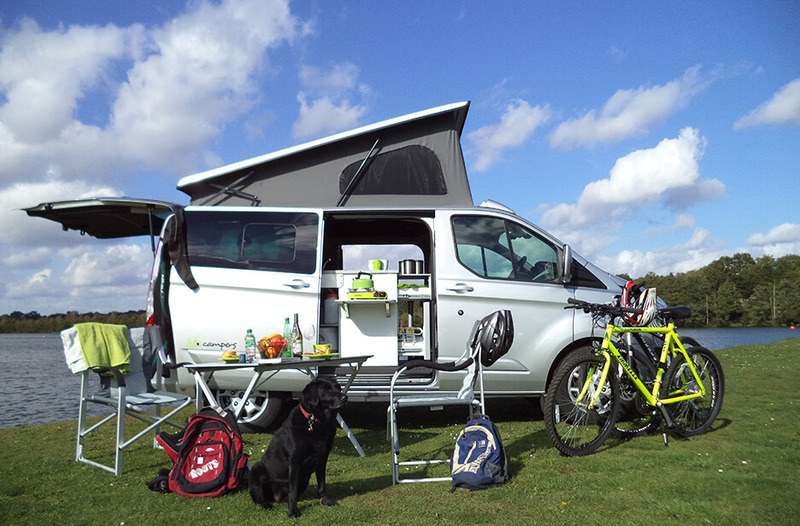 Intelligent design allows you to configure the best camper for you. Q: How long do I have to wait & what are the payment terms? A: Each Camper is specified and hand crafted to your individual specification, typically allow 3-5 months, If you can’t wait, ask about availability of demonstrator stock. To place an order we require a £2000 deposit, then 2 weeks ahead of completion we request a 50% stage payment with balance due on or prior to collection. Finance available up to 10 years.